Blue Mug Designs Birth Announcement - A Cool Family! White card with a family of three snowmen! 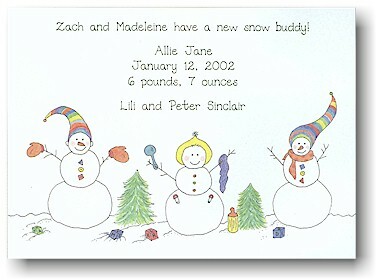 White flat card with "baby" snowman in lower right corner. Snowman is wearing a yellow hat and holding a blue rattle and a purple blanket. Bottle is on ground.